A monochrome sticker illustrating India's main touristic attraction, the Taj Mahal. A brilliant travel decal for those that love travelling! 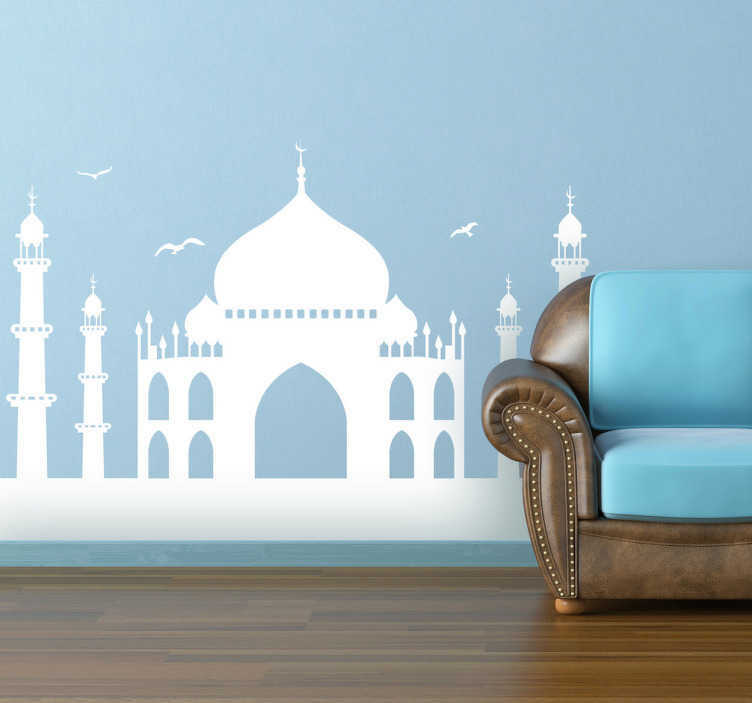 If you have been to India and loved your trip or if you simply love this touristic attraction then this is the perfect decal to decorate your living room or your own bedroom. Available in a wide range of colours and sizes.